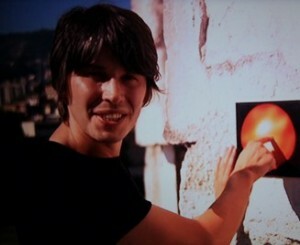 ← Professor Brian Cox – Wonders of the Universe – Destiny. Wonders of the Universe started with a bang and so it continued with ‘Stardust’, episode two of Professor Brian Cox’s stellar science series. Some viewers found episode one, ‘Destiny’, a bit of a downer as it mapped out the life and death of the universe, you can read my blog post on ‘Destiny’ here. But episode two was positively more upbeat, mapping out how we’re all born from stars – how cool is that! As Cox puts it himself “Every mountain, every rock on this planet, every living thing, every piece of you and me was forged in the furnaces of space. … Every atom in our bodies was formed not on Earth, but was created in the depths of space, through the epic lifecycle of the stars“. Now, before you read on, pause and consider the implications of that statement. 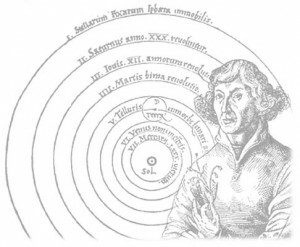 Copernicus kept his discovery secret because he feared for his life should he openly publish such ‘heresy’ – the Spanish Inquisition was in full flight. He finally relented and published his findings in the year of his death 1543. And we all thank him for doing so. But here’s the curious part; 467 years later we still seem to think of Earth as the centre of the universe – not necessarily from the point of view of physics, but certainly from the point of view of psychology. So in a strange sort of way we seem to have lost our connection with the universe (let alone the earth itself). And that’s why, I think, people find it awesome to realise that we, us humans, are actually put together from material that came from stars. Yep, we’re made from stardust. Ok Prof Cox, so where did the elements come from? Cox continues “We now know that the Earth is made of 92 chemical elements .. we also know that everything beyond Earth, everything we can see in the universe, is made of those same 92 elements. 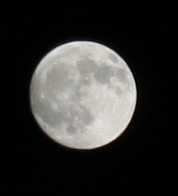 We have set foot on the Moon and know that it’s rich in Helium, Silver, and water [Hydrogen & Oxygen]. We have sent robot landers to our neighboring planets, and discovered that Mars is rich in Iron which is combined with Oxygen to form it’s familiar rusty red colour; And we know that Venus’ thick atmosphere is full of Sulfur. We’ve sent spacecraft to the edge of the solar system to discover that Neptune is rich in organic molecules like methane.” Cox went on to explain how we know these 92 elements are in space, and how they were formed; I’ll get onto that shortly. So that’s it? The whole Universe is made from just 92 chemical elements. If you’re familiar with the periodic table of elements – then you’re familiar with the 92 elements, if not then check it out on the web. (Ok, there are in fact more than 92 elements, but the extra ones are artificial elements created by scientists, elements like Einsteinium, Californium etc.). So for example, salt is Sodium and Chlorine combined to make Sodium Chloride. Vinegar gets it sour taste (yummy!) from Ethanoic (acetic) Acid – which is a combination of Carbon, Hydrogen, and Oxygen. So next time you’re tucking into your chips remember you’re eating carbon, oxygen, hydrogen, sodium and chlorine. Sugar is made from the same three elements as Ethanoic Acid, namely Carbon, Hydrogen, and Oxygen – but in different combinations. It’s these combination of elements that gives the Universe diversity. And its also true that we are what we eat. As your body continuously replaces cells, it uses the elements you supply it; whether it’s the Iron in your blood, the Calcium in your bones, or the Sodium and Potassium in your muscles, etcetera – it all comes from your food. You don’t need to be an expert to realise the importance of diet during pregnancy and while breastfeeding, but I digress. So where did the 92 chemical elements come from, how were they made? Cox answers these questions in light detail and with beautiful simplicity. That makes it accessible for a wider audience, but gives rise to many questions with no answers. You can argue that’s the nature of gaining knowledge – to ask more questions. Effectively the elements evolved from the simplest right up to the most complex, each element building on the previous elements. Cox says “In order to understand where we came from, we have to understand events that happened in the first few seconds of the life of the universe. See when the universe began it was unimaginably hot and dense, we literally don’t have the scientific language to describe it. There was no structure, certainly no matter.” At this point I asked myself the question ‘how can it be dense if there was no matter’ – so I assume Cox is talking about light density i.e. the amount of light incident on a given area. Also, how can it be hot if there is no matter – as I understand it, heat requires matter? More importantly, the pivotal question of where did the starting material come from, is not addressed. Nor was the question of ‘outside the universe’ addressed – the current model ducks that question. So I found these omissions disappointing, but this is a popular science tv programme – not an academic conference. In fairness to Cox, he pitches difficult material to his target audience “with the accuracy of a sub-nuclear scientist” to use the words of legendary darts commentator Sid Waddell; which of course is precisely what Cox is – a particle physicist. Ok, so how were the elements made? Cox explains it thus “We think that the Universe, as it cooled, went through a series of these events where structure emerged. One of the most important was about a billionth of a second after the big bang. In that moment an important part of the symmetry of the universe was broken. Known as ‘electroweak symmetry breaking’ this was the moment when sub-atomic particles acquired mass, substance for the first time. Amongst them were the quarks. As the universe continued to cool those quarks joined together to form larger more complex structures called protons and neutrons. Way before the universe was a minute old the quarks had been locked away inside the protons and the neutrons – and they are the building blocks of all atomic nucleii, the building blocks of the elements. These same protons and neutrons are with us to this day, they form the hearts, the nucleii of all atoms. 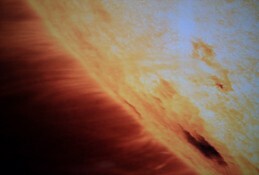 Just a few seconds after the beginning of the universe, the fundamental building blocks of everything had been created. From that point on it was just, in a sense, a process of assembling those bits into more and more complex things, and that is an incredibly fascinating story in itself. The element with a single proton in it’s nucleus is Hydrogen, and from Hydrogen you can make all the other elements.” Cox explains how our Sun is powered by the simplest element, Hydrogen. Two Hydrogen atoms are forced together and create Helium, in the process releasing massive amounts of energy – this is how our Sun is powered, and where we get the energy to support life on Earth. Cox goes on to say “But for all its power the Sun only converts Hydrogen, the simplest element, into Helium, the next simplest.” To make more complex elements requires massive stars collapsing in on themselves and the crushing force adding more protons and neutrons to the existing elements – thus making new elements. This happens in several stages (see bullet points below), until eventually the Star is left with an Iron core. But this only produces the first 26 elements. So when you see someone inhale Helium and talk with a funny voice, you can know that Helium was forged in a star by nuclear fusion of Hydrogen. When you breathe Oxygen you can know that it was forged in a collapsing star. 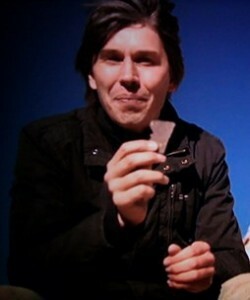 When you eat salt with your chips, you can know the Sodium in it was forged in a collapsing star. When you look at your teeth (if you’ve still got ’em :D) you can know the Calcium from which they’re made was forged in a collapsing star. But what of the other 66 elements – where did they come from? Cox explains “Creating substantial amounts of the heaviest elements, requires some of the rarest conditions in the universe. In a galaxy of a 100 billion stars, these conditions will exist, on average, for less than a minute in every century. That’s because they’re only created in the final death-throws of the very largest stars. 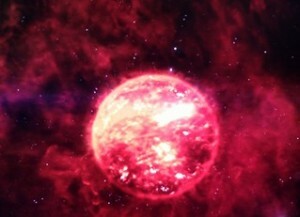 Stars of at least 9 times the mass of our Sun, only they can reach the extreme temperatures needed to create large amounts of the heavy elements. The core finally succumbs to gravity, it falls in on itself with enormous speed, and rebounds with colossal force. As the blast wave collides with the outer layers of the star, it generates the highest temperatures in the universe, a hundred billion degrees. These conditions last for just 15 seconds, but it’s enough to form the heaviest elements like gold. It’s called a supernova, the most powerful explosion in the universe.” So the next time you look at something mundane like a Copper pipe, a Gold or Silver ring, your cars Xenon headlights, or a Lead pipe – you can know that they were all forged in a massive supernova. You might ask the question: How do you know those chemical elements are out there, it’s not like we’ve been everywhere in the Universe? It’s true we haven’t been there, but physicists can cleverly use the light that has been there and has travelled all the way here. Cox explains “Each element within our Sun not only emits light of a certain colour, it also absorbs light of the same colour. You can work out exactly what elements are present in the Sun, and it turns out that thats about 70% Hydrogen, 28% Helium, and 2% the rest. 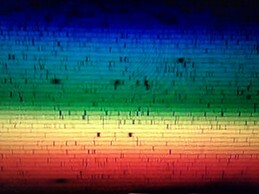 And you can do this .. for any of the stars you can see in the sky, and you can measure exactly what they’re made of.” So when you look at all the colours emitted by the Sun, you see black lines – called absorption lines, where elements have absorbed the light – these absorption lines are like the fingerprint (or DNA profile) of the elements and we can use them to identify the elements. for protein (read muscle). So whichever way you cut it, given the right circumstances it is possible (not necessarily probable) we’re not alone. But if I was a sentient intelligent alien life-form voyeuring Earth, I’d probably advise my species to avoid contact – after all we can’t get along with ourselves, other native lifeforms, or our own planet that sustains us. Meh! This entry was posted in Documentary, Physics, Reviews, Science and tagged althinking, astronomy, brian cox, copernicus, cosmology, physics, prof brian cox, review, science, stardust, wonders of the universe. Bookmark the permalink. Thanks for replying to my question re the creation of atoms. I think you have gone a long way toward helping me understand with this blog post, which I read.in its entirety. Cheers!